Chapter 7 is dedicated to the analysis of discrete-time periodic systems by means of SV-LMIs. For that special case the SV-LMIs have interesting non-causal system interpretations. 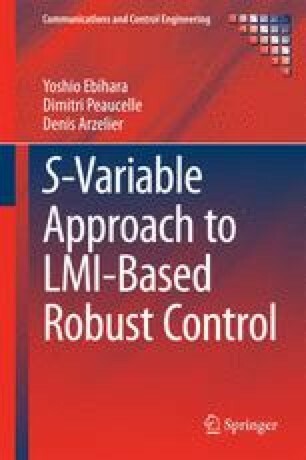 Similarly to the LTI case, SV-LMIs are effective for reducing the conservatism of the analysis results when dealing with discrete-time periodic systems affected by polytopic uncertainties.